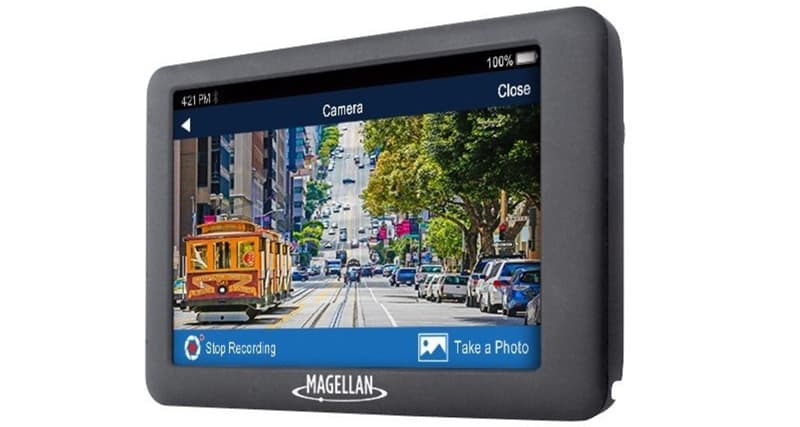 Over two dozen Truck Camper Magazine readers reveal their dash cameras and dash camera experiences. Some of the following stories will have you seriously thinking about getting a dash camera in your rig. We certainly are. 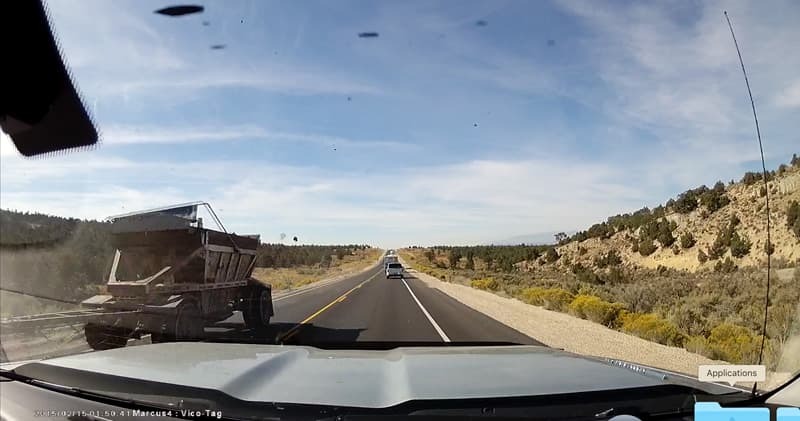 “We were traveling through a construction zone in Nevada in September when some asphalt fell off a construction vehicle. My Vicovation Marcus 4 dash cam captured the scene. 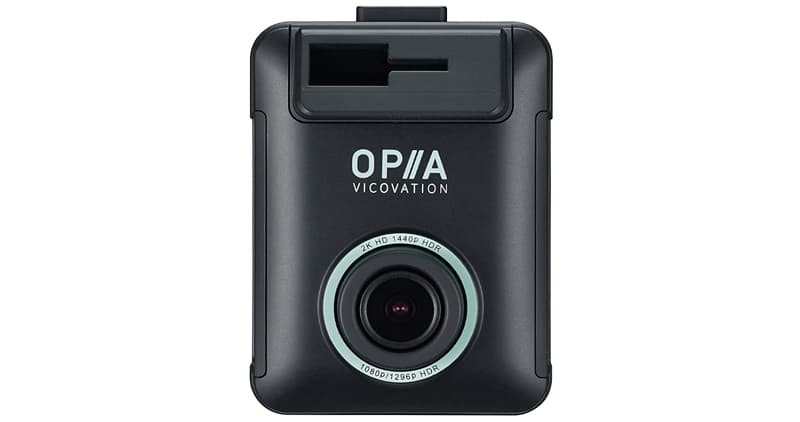 My new camera is an Opia 2. 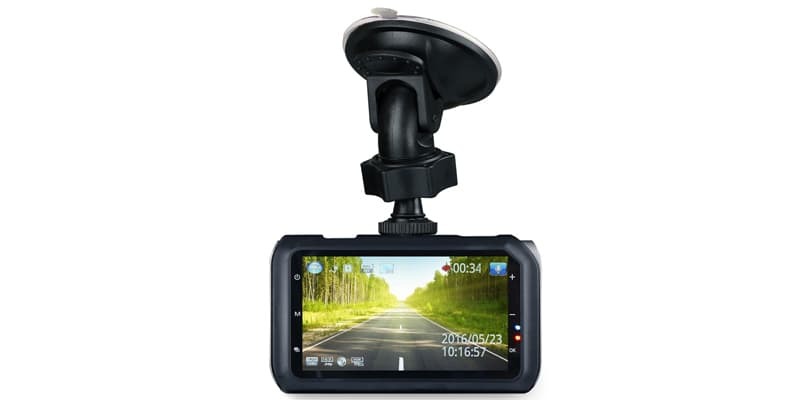 “I have a Transcend dash cam in each vehicle. We live in a rural area with lots of two lane roads. People seem to think the double yellow line is a track for their tires, or just doesn’t exist at all. 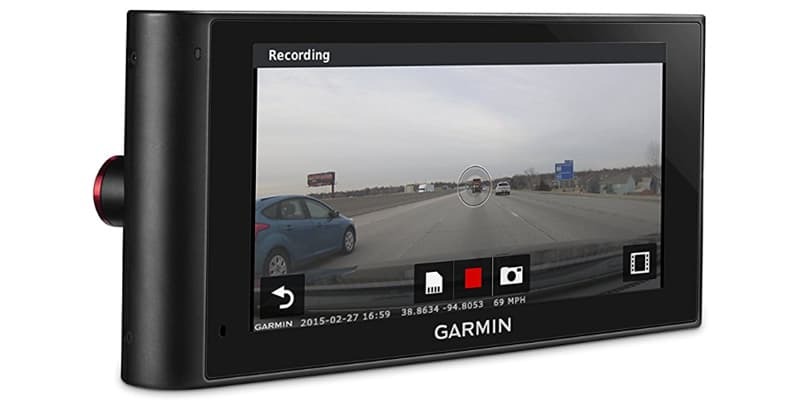 “I have a Garmin combination dash camera and GPS. The following story is one of the few times I did not think I needed a dash cam. We did not have the camper loaded and were heading about seven miles from the campground. There was a main street in town with a 55 mile per hour speed limit. My wife was driving about 54 when a pickup truck passed us on the right. We were preparing to make a left hand turn at an intersection just up the road. As we approached the intersection, over a quarter mile back, the pickup seemed to accelerate. The stoplight was green, but there was no way the other guy could possibly make the light. The light turned yellow, then red, and the truck seemed to just speed up. I literally prayed that the intersection would stay clear. As the truck entered the intersection, another truck appeared in front of him. Then, another truck appeared as the red truck was clobbered and that third truck got hit as well. The offending truck had the whole front end ripped off right back to the engine. It spun around and coasted to a stop heading in the direction it had come from. Suddenly, the intersection was full of people trying to help the elderly couple in the red truck. When the cops showed up, they could not make any sense out of what had happened. I was the only person who had witnessed the weird accident.